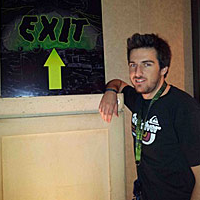 Alberto Garcia Illera is a 25 year old who is passionate about hacking and social engineering. Alberto studied mathematics and computer systems in Spain and has spent the past several years working as a professional penetration tester. Alberto has presented at several seminars where he has helped teach hacking techniques to large companies such as Microsoft, the Spanish government and the cyberterrorism Spanish police department. At Defcon20 in Las Vegas, Alberto has presented a talk titled "How to hack all the transport networks of a country" that had a great repercussion. He has also spoken at ZeroNights in Moscow, BlackHat in Abu Dhabi and recently in Infiltrate in Miami.